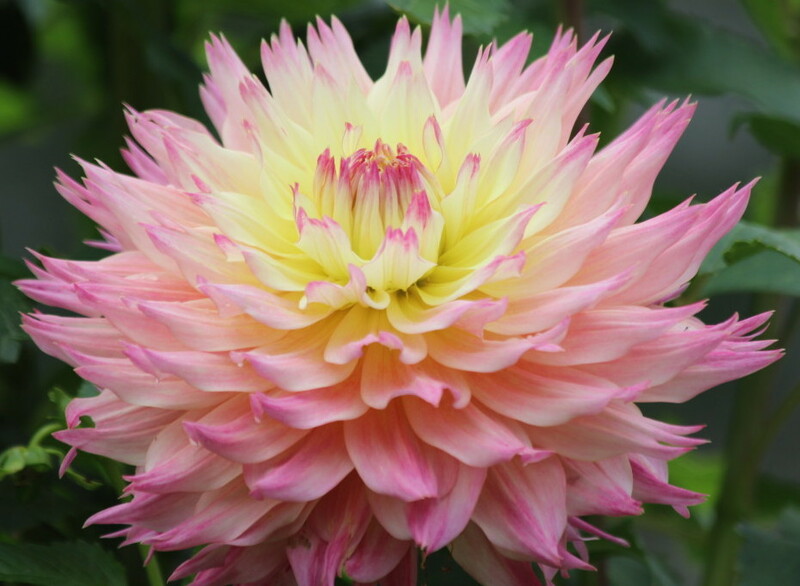 The 54th Annual Dahlia Show of the Greater Columbus Dahlia Society is free and open to the general public from 1 to 5 PM on Saturday, September 14 and from 1 to 4 PM on Sunday, September 15. Top dahlia growers in the mid-west will compete for recognition and cash prizes in dozens of categories. Hundreds of spectacular blooms of all types of dahlias will be on display for both days. There will also be a display of floral arrangements featuring dahlias which will provide visitors with the opportunity to vote for the People’s Choice Award. The show is being held at the Marysville YMCA, 1150 Charles Lane, Marysville OH 43040. More information will be available as we get closer to the Show date. Both members and non-members of the GCDS are welcome to enter their blooms. A special challenge class for the Parkland Rave dahlia will be established for the Show. It will include only entries specifically designated for the challenge and exhibitors may have multiple entries. The prize will be $100. A special award of $125 will be offered for the best Zorro in honor of Wilbur Seipel. It is not a separate class; the best Zorro will be selected from among all Zorros entered in the Show. A special award (not special class) for the best Marcella Louise of $200 will be sponsored by Jim Chuey. Jim will also sponsor a special award (not a special class) of $200 for the best Carl. A special award (not a special class) for the best Brookstone J Cooley of $25 will be sponsored by Larry Moore.